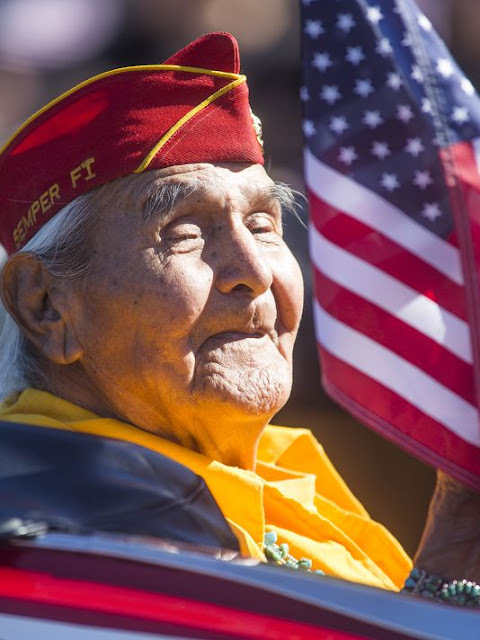 Joe Hosteen Kellwood, a Navajo Code Talker from World War II, passe away Monday in Phoenix at the age of 95. Gov. Doug Ducey asked Arizonans on Tuesday to remember Kellwood’s service to America. 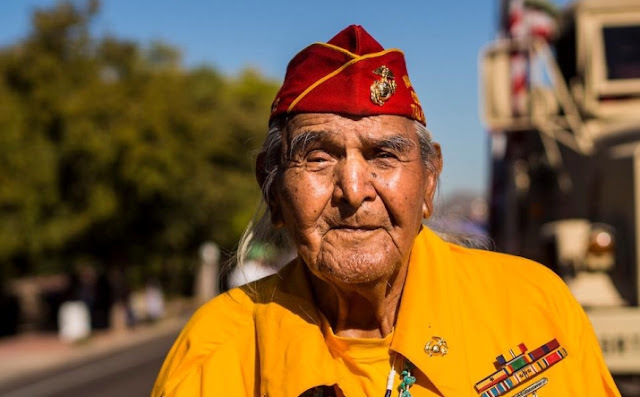 A spokesman for the Navajo Nation confirmed Kellwood's passing Monday. In Navajo and in English, people sent condolences over social media to Kellwood's family. 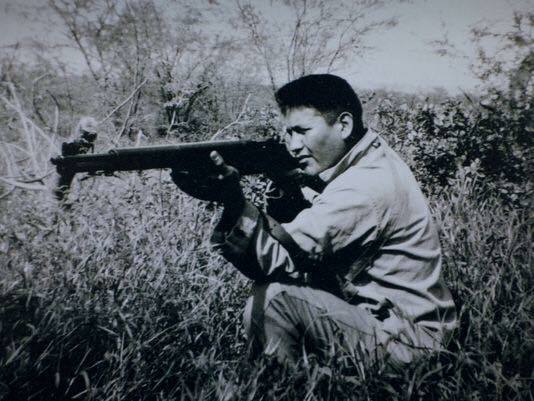 Ahe'hee, Mr. Joe Kellwood. Thank you, Marine. Rest in Peace, Brave Warrior. Thank you for your service. My condolences to the family and to the Navajo Nation. Oh Ya'at'ééh dóó'. So Sad and Sorry...Your Uncle is now made his journey to be with family in a world different with the Holy People as he is now. "I was never scared during battles because I told Mama Water to take care of me," Kellwood said in the 1999 Republic interview. "We had to feel like we were bigger than the enemy in battle. I had my prayer and my chewing gum." 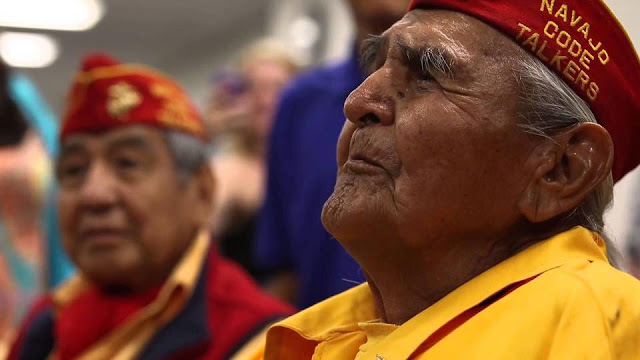 Responses to "Legendary Navajo Code Talker Joe Kellwood Walks On At 95"